Although I am foremost attracted to abstracts, and in particular the processes and tools involved in creating them, I have always loved the subtle beauty of watercolour paintings. 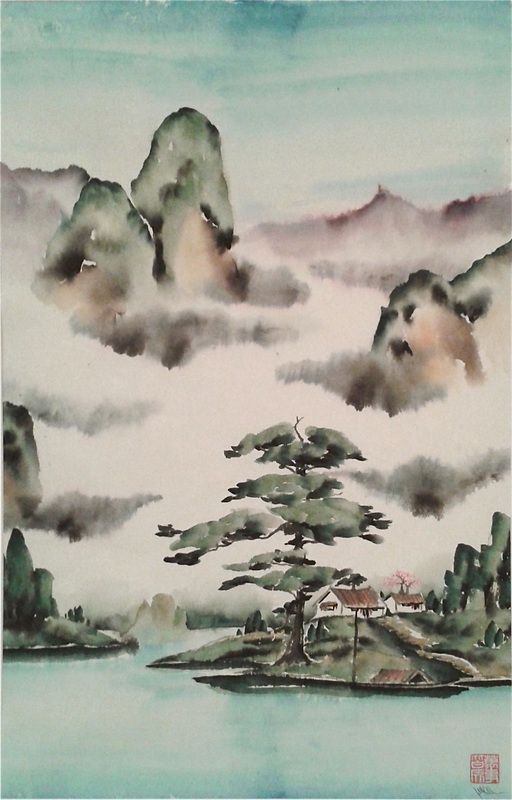 Perhaps an unconscious yearning for my watercolour painting origins, combined with a fascination with the seemingly simply composition of Chinese Brush painting, led me to trying my own hand at them. 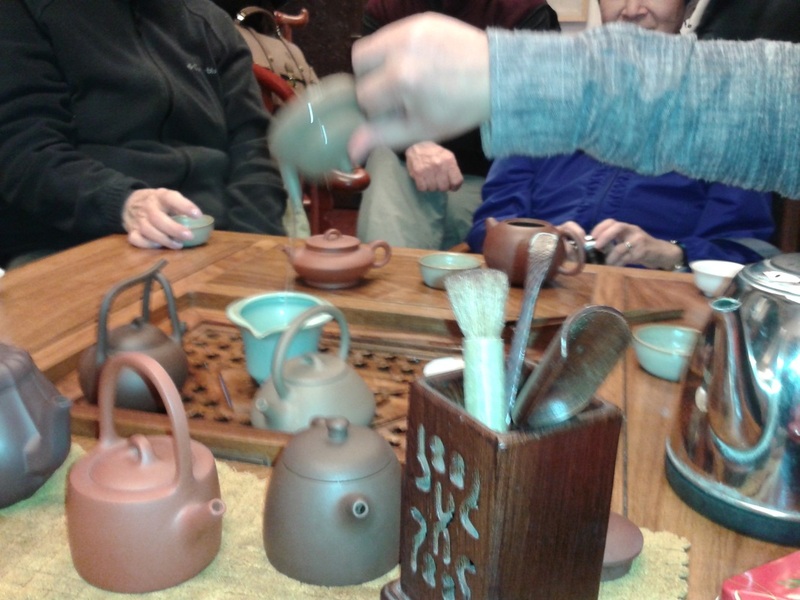 Through the challenge of procuring supplies, always interesting when living on an island, even one as large as Vancouver Island, I was extremely fortunate to come across Oriental Art Supply. I say this because at the helm of OAS are Ning and Ling Chi Yeh, husband and wife team extraordinaire. OAS is truly a family affair, with daughter Jashin and her husband Keith also involved. Jashin is doing a wonderful job of carrying on in her parents footsteps, and taking the company in new directions through facebook challenges and such. 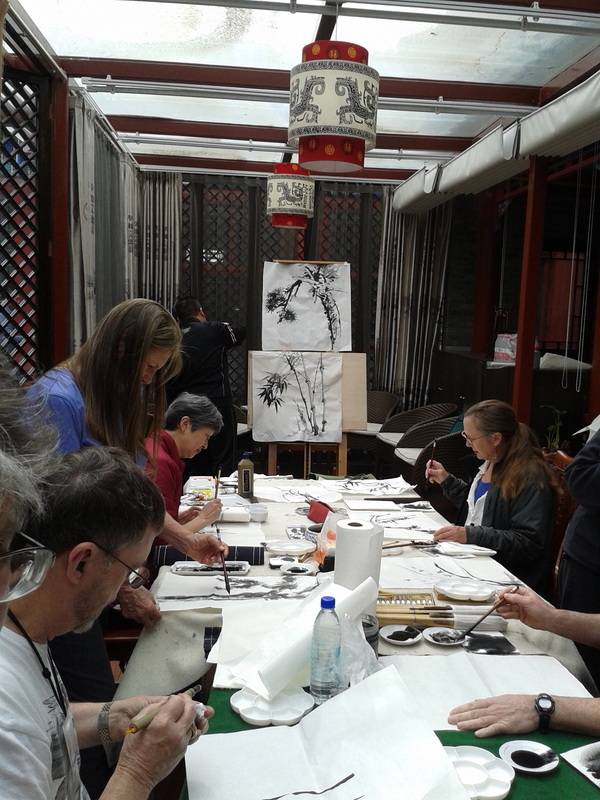 Below are some photos of the workshop I attended in Beijing at the beginning of a trip through China with Ning and Ling Chi in April 2013, as well as from a workshop I did with Ning at OAS in November 2013. 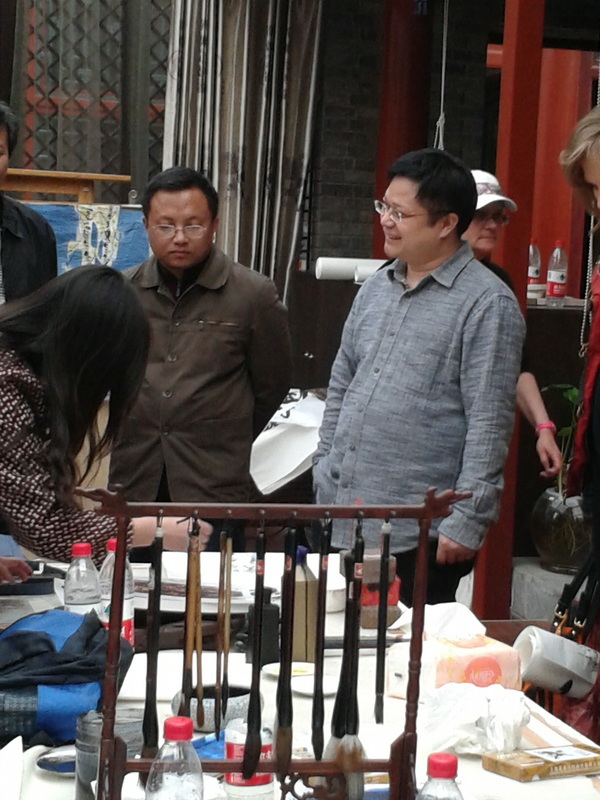 Workshop at Professor Su's studio. 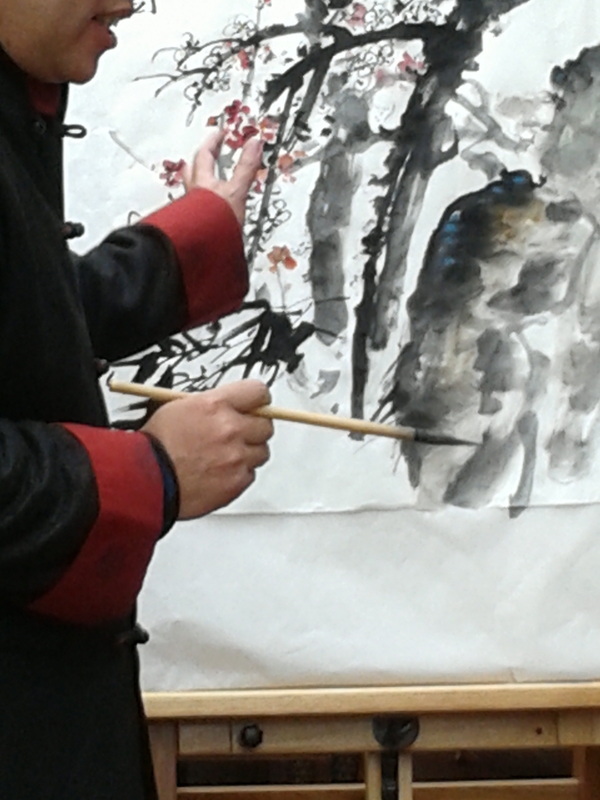 This was a unique, once in a lifetime opportunity to learn from several artists Prof. Su arranged for us. Ling Chi and Josephine were our tireless interpreters throughout. 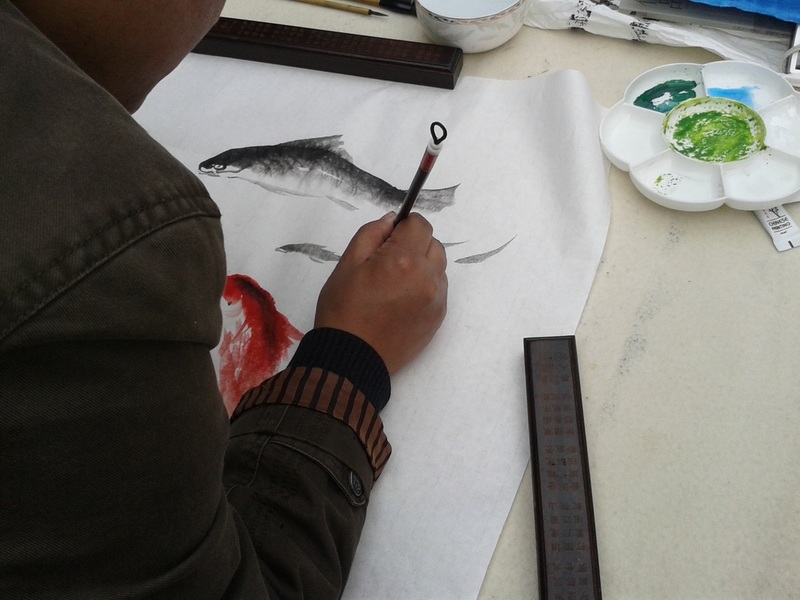 My friend Portia, also a Chinese Brush painter. 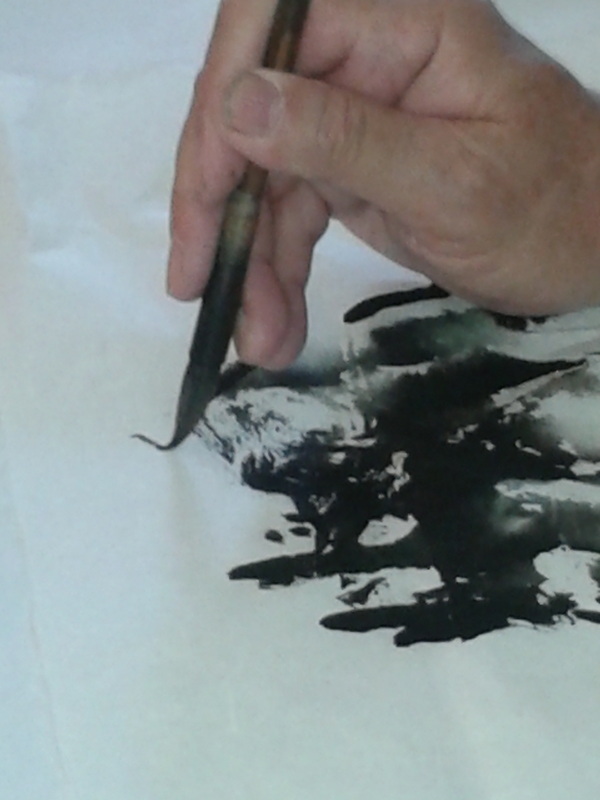 Dr. Ning Yeh has been teaching Chinese Brush Painting since 1972 through a variety of venues. (learn more about Ning Yeh here) In November 2013 I attended a three day workshop with Ning held at Oriental Art Supply in Huntington Beach, Ca. 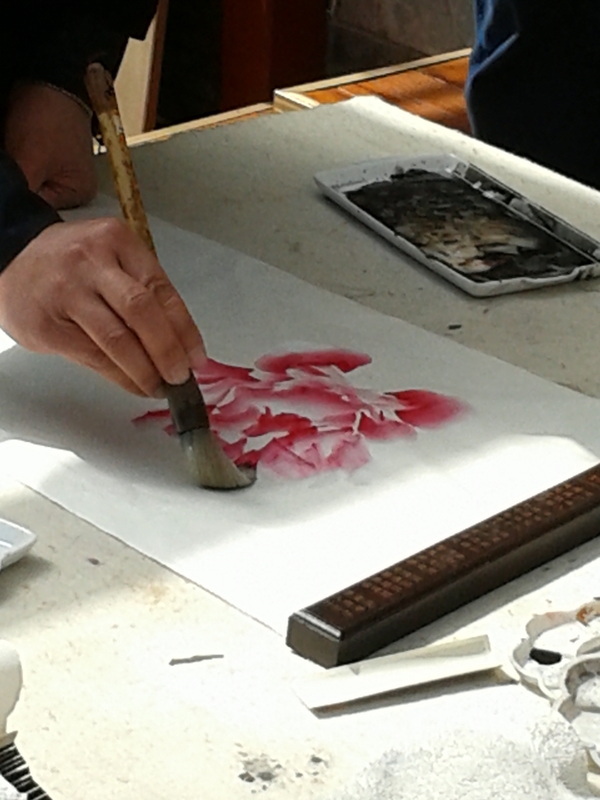 Our subjects were Horse, Lotus flower and Cherry BLossoms (over a background wash of colour). I had worked on the flowers in the past so felt somewhat comfortable attempting them, the horse was a different matter altogether. I decided to go into the course without making any previous attempt to paint a horse on my own, using the books I have for guidance. 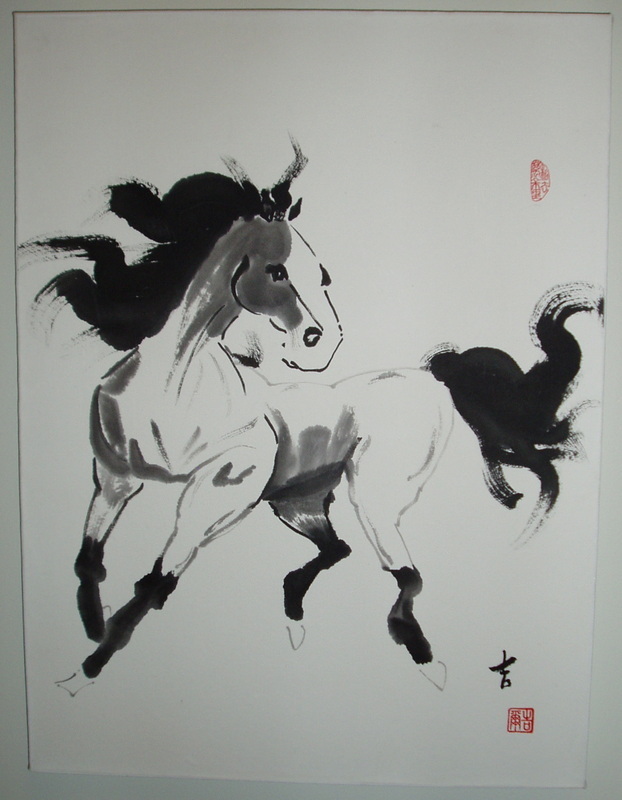 It is a testament to Ning's incredible teaching skills that I was able to paint this in one day. 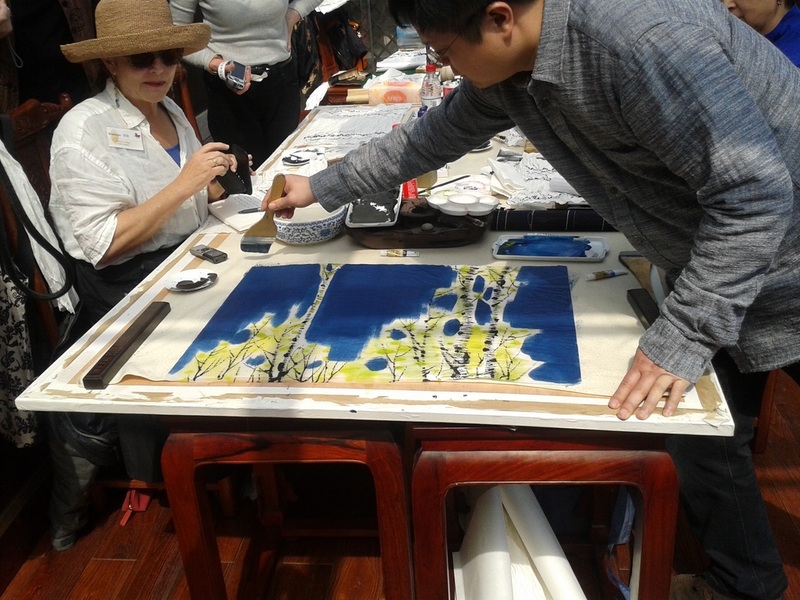 I will be attending another of Ning's workshops in July 2014! 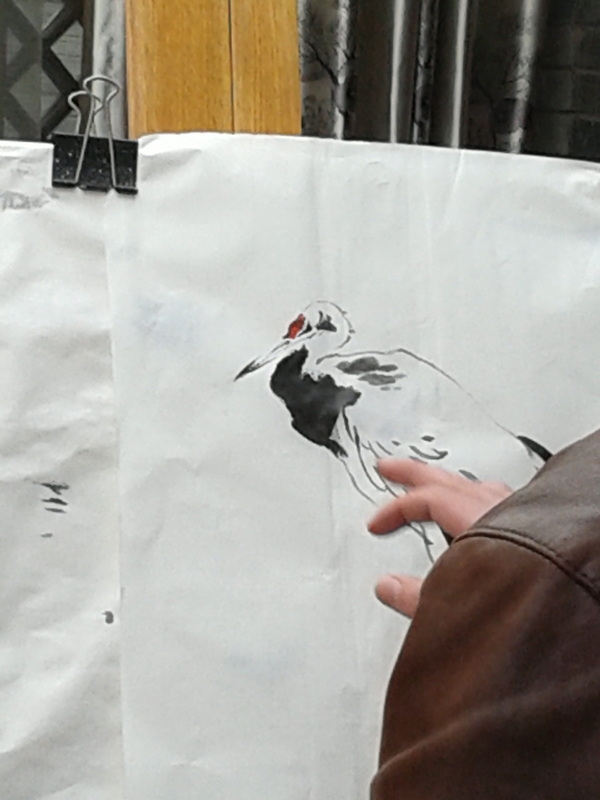 Check back and find out how it went, new paintings etc, etc. 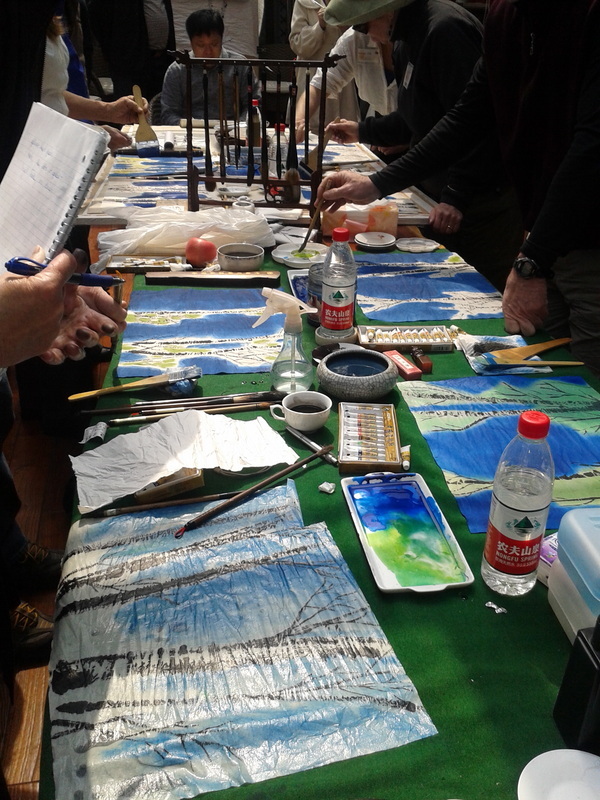 Another fabulous workshop with Ning! 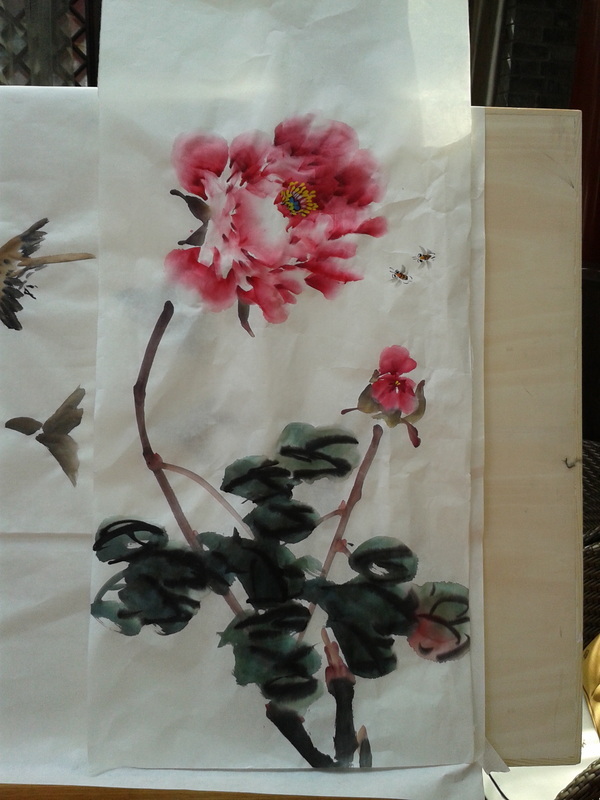 July 25 -27 saw us painting another horse, the tree peony and a landscape.